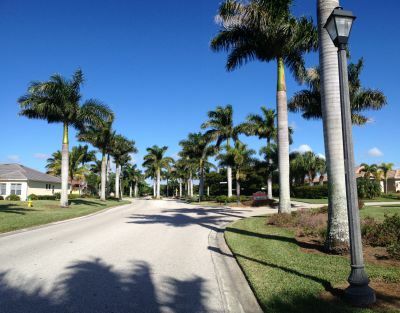 One of the most popular communities in Cape Coral is a vacationer's paradise...or like spending your life on a vacation resort. 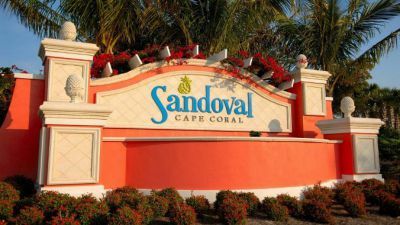 Sandoval is a gated residential subdivision with all the lifestyle amenities that the best resorts anywhere will offer. 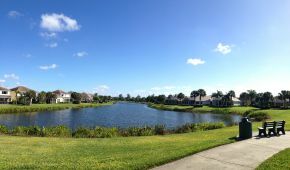 It's a 524 acre master-planned community, with tropical landscaping, scenic streets, white sidewalks and plenty of walking trails. Residents love the lagoon pool, water park and playground, fitness facilities, tennis courts, sports complex, and playgrounds for the kids. There are four separate parks in the complex as well as ponds and lakes throughout, taking you from luxury to nature depending on your mood. 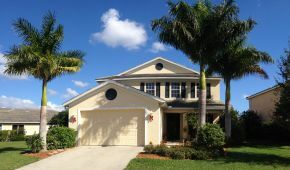 It's also convenient to shopping, dining, and entertainment, as well as within walking distance to two of the top-rated schools in Cape Coral - Trafalgar Middle School and Elementary. There are many types of houses here. 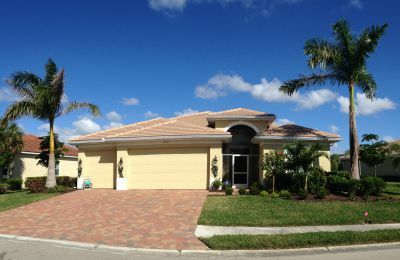 For single family homes, there are mid-range family-style homes in many neighborhoods as well as luxury estate homes facing the lakes. Neighborhoods are pretty much defined by the street names, such as Ashbury, Stoneyhill, and Blackburn. The most amazing thing is that almost all the homes in Sandoval are affordable. Prices range around $200-250,000, with some of the larger estates still under $500,000. There are also some condos near the entrance of the Somerville community, with their own pool and offering use of the community amenties too. These condos are priced at around $150,000. Perhaps the most exciting news in Sandoval is the new construction in Phase III, being developed by the Taylor Morrison builders. They are building five new groups of homes, including 2 bedroom villas, 3 bedroom villas, beautiful single family coastal homes, large estate homes, and more on the horizon. Each group offers several floorplans, one and two car garages, and every upscale interior you can ask for. Prices on the new homes in Sandoval run from the mid $100,000's to just under $500,000. If you're looking for a brand new home or townhouse, you MUST look at the new sections of Sandoval. This breathtaking community can make you the envy of everyone you know, and I'd like to show you just what it offers. Call or contact me for a tour and more information on the original homes or the new phase being built.